Which are the common signs and symptoms of infertility in women? How to cope with female infertility at preliminary stages? How can women cope with infertility naturally? Which are the common signs and symptoms of infertility in women? How to cope with female infertility at preliminary stages? How can women cope with infertility naturally? rosie petal replied. hi. how are you? It is really hard to accept all this. Everyone will deal with this problem with hope. infertility is a curse now. it creates much hopelessness in the family. But its infertility treatment could be possible by IUI, IVF, and surrogacy. science has developed now. consult the doctor as well in this regard. hope that you will go wherever the green signal is there always for you Surrogates woman really need appreciation.they are doing public service from my point of view. surrogacy is the best option ever found. 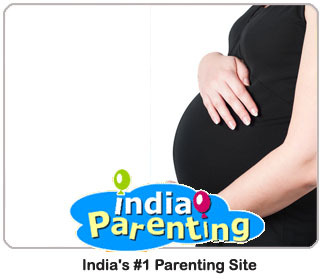 surrogacy will provide you with a hundred percent result. surrogate women usually provide hope for infertility. But surrogacy is the best option I have ever seen. rosie petal replied. Hey. Hope you are doing well. miscarriages are nowadays many commons. miscarriages are the cause of infertility as well. miscarriages are the main cause of infertility too. I hope it is only a miscarriage. consult the specialist in a hurry. surrogacy is the process in which intended parent sperm is kept in the surrogate woman. surrogacy is the best treatment for infertility. surrogacy will provide 100 percent result. Go in detail for the surrogacy. go in detail of every clinic. IVF also good but surrogacy is the best option. if that clinic suits you then go there. Manage an affordable clinic that suits you financially as well. your hard work paid off. hi. how are you? It is really hard to accept all this. Everyone will deal with this problem with hope. infertility is a curse now. it creates much hopelessness in the family. But its infertility treatment could be possible by IUI, IVF, and surrogacy. science has developed now. consult the doctor as well in this regard. hope that you will go wherever the green signal is there always for you Surrogates woman really need appreciation.they are doing public service from my point of view. surrogacy is the best option ever found. surrogacy will provide you with a hundred percent result. surrogate women usually provide hope for infertility. But surrogacy is the best option I have ever seen. Hey. Hope you are doing well. miscarriages are nowadays many commons. miscarriages are the cause of infertility as well. miscarriages are the main cause of infertility too. I hope it is only a miscarriage. consult the specialist in a hurry. surrogacy is the process in which intended parent sperm is kept in the surrogate woman. surrogacy is the best treatment for infertility. surrogacy will provide 100 percent result. Go in detail for the surrogacy. go in detail of every clinic. IVF also good but surrogacy is the best option. if that clinic suits you then go there. Manage an affordable clinic that suits you financially as well. your hard work paid off.